Dust storms, rabbit drives, hobo camps, and riding on freight trains were all a part of life for many throughout the Midwest during the Great Depression. Polio and many other diseases had not yet been conquered and the huge dust storms that killed livestock and ruined crops also caused life-threatening respiratory ailments, such as asthma and pneumonia. 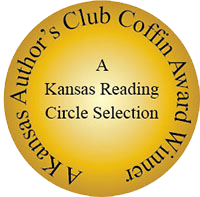 A Kansas Reading Circle Selection and Kansas Author’s Club Coffin Award recipient! A Kansas Reading Circle Selection and Kansas Author’s Club Coffin Award Winner! Dust storms, rabbit drives, hobo camps, and riding on freight trains were all a part of life for many throughout the Midwest during the Great Depression. Polio and many other diseases had not yet been conquered and the huge dust storms that killed livestock and ruined crops also caused life-threatening respiratory ailments, such as asthma and pneumonia. 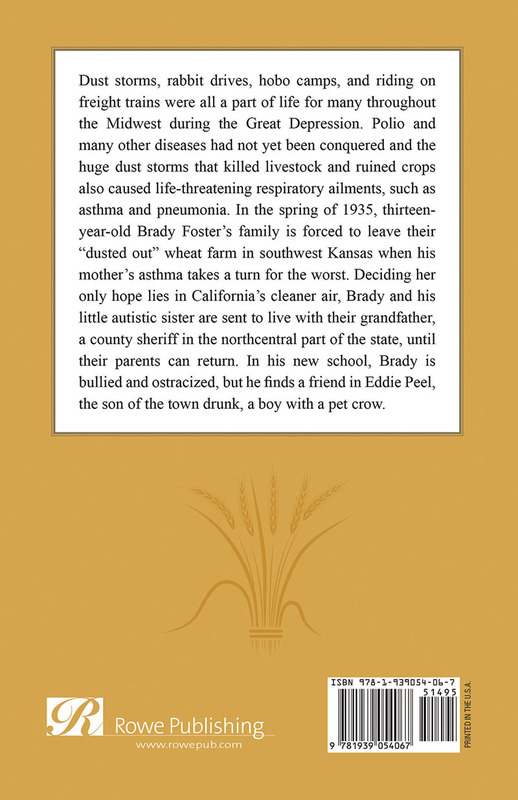 In the spring of 1935, thirteen-year-old Brady Foster’s family is forced to leave their “dusted out” wheat farm in southwest Kansas when his mother’s asthma takes a turn for the worst. Deciding her only hope lies in California’s cleaner air, Brady and his little autistic sister are sent to live with their grandfather, a county sheriff in the northcentral part of the state, until their parents can return. In his new school, Brady is bullied and ostracized, but he finds a friend in Eddie Peel, the son of the town drunk, a boy with a pet crow. During the Depression, Brady and his younger autistic sister are sent from southwest Kansas and a struggling wheat farm to live with their grandfather, a sheriff, and a great aunt when their mother’s asthma turns deadly because of the huge dust storms in the Midwest. While his father and mother seek a job and a cure in California, Brady struggles in a new school in northern Kansas, where he is bullied by the son of the town’s richest man, a smuggler of illegal booze by night, a banker by day. Brady befriends Eddie, the son of the town drunk, and his pet crow, Blackie. The three of them find adventure, trouble, and a few heart-stopping escapades, including time in a hobo camp and riding a freight train. Brady, full of self-doubt and worry, complements Eddie, who is almost too brazen, and Blackie, who matches wits with both of them and some of the scary people they meet. The writing is delightful, pulling the reader along, tugging at heartstrings and raising indignation. The complexity of the characters and realistic situations enfolded me in the summer with its storms, poverty, machinations of adults and Depression stagnation. The lives of two young boys and a crow taught me much about the mean-spiritedness but also the kindnesses of people and situations in the Midwest during these times. I highly recommend this book for adults and young adults. A Time To Remember – Legend of the Rose Brady is growing up during the Great Depression, and worse he and his family live in what was called the Dust Bowl. With his mother ill and no work, his father takes her to California. Brady and his sister, who is autistic, are left with his Grandpa Bud, who is sheriff of the county, and his aunt. After he goes to stay with his grandpa, Brady forms a friendship with Eddie, a small, very poor boy whose father is an alcoholic. Eddie owns a pet crow who accompanies the boys on their adventures and misadventures during that summer Brady will never forget. The Summer of the Crow is a well-written coming of age story you won’t want to miss. 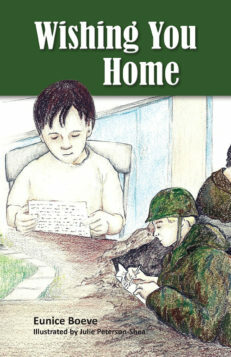 Not only is it for YA readers, but adults will also enjoy reading about a way of life few today can remember. Boeve does an exceptional job of revealing how people were forced to live during a time when the country struggled through the hardest times ever experienced. I tasted the dust, felt the poverty and hopelessness experienced by so many and laughed and cried with Brady as the author led him deftly through that final summer of his childhood. Next year he’s off to high school, and will leave behind the life he’s settled into. Will his mother survive? Will he ever see his family again? Read this well crafted book to find out. The Summer of the Crow, A must read! The Summer of the Crow has taught me what Kansas in 1935 was like. I had no idea. I had heard about the dust bowls, but only until I have read Eunice Boeve’s book could I really understand. Wet blankets on windows and ropes to find ones way. Her descriptive style is remarkable. Not only has she included historical accuracy in terms of the depression and the dust bowl, but autism in young Brady’s little sister, prohibition, bullying, polio and abuse. I love the ending where hope prevails. Life is rarely fair and many times painful. Yet there is always sparks of hope that keep us moving forward in life’s swells. and who would of thought to have a crow as a pet and how much a boy and a crow could love one another. I think this book needs to be in every school, not just Kansas. There is history filling its pages that is not in any text books. So much can be learned within these pages about life, friendship and what it means to be family. 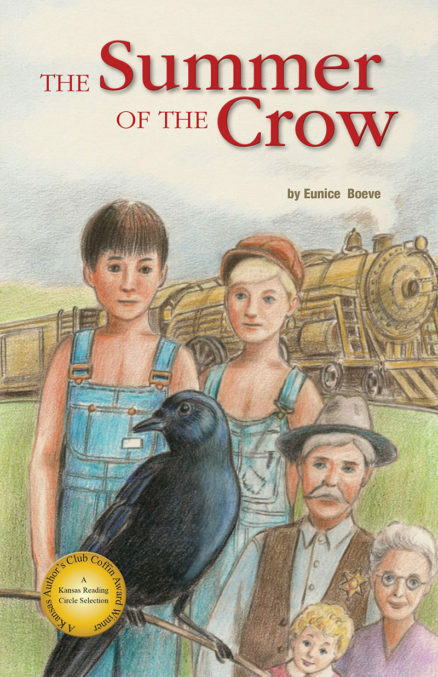 The adventure in The Summer of the Crow will surely keep young people turning the pages and learning with out realizing teaching is taking place. History, Adventure and Action for Young Adults and Adults Alike. In the Dust Bowl farmland of Kansas during the middle of the Great Depression, Brady Lee. Foster and his family lead hard lives. Brady’s mom is suffering with asthma while his father can no longer grow crops and his sister Sarah is in a world of her own, imprisoned by autism. When his father makes the vital decision to take his wife to California in order to escape the dust storms that aggravate her condition, Brady is passed on to the grandfather and great-aunt he hardly knows. Living with them in the town of Sentinel, he makes friends with a boy who has a pet crow, and who is similarly an outsider from the school cliques. As various secrets of the small town unfold, Brady and his new friend Eddie hatch a plan that puts both their lives at risk. This is a novel chock full of history and adventure which keeps the pages turning. Boeve manages to teach without preaching about bullying, family, love and friendship. She also manages to educate the reader about this era in American history without it seeming like a history class–and with the added benefit of small details that school classes would never include. While school history classes might concentrate on wars and Presidents, Boeve has taken one small moment in time and made it come to life with extraordinary clarity. Her descriptions are so lucid and engaging that I was quite ready to hang wet blankets at my windows for the next dust storm. 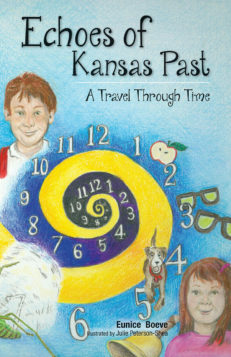 Yet even with this historic background, there are plenty of adventures that Brady and Eddie concoct to keep even the most restless young man or woman reading. 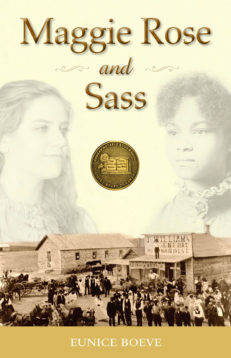 Quite honestly, if I lived in Kansas I would be petitioning to make this required school reading. As it is, I cannot recommend it highly enough for ALL young adults–and their parents as well. Authentic, witty, and very well written. If you like Anne Lamott, I think you will like this book as it is written with the same raw honesty, vulnerability and humor that is quintessential Lamott. This Ann (Carter) is on a similar journey only later in life. She invites you to share the ups and downs and ins and outs of deciding to step out in courage and follow her heart into the biggest lifestyle change she has ever experienced. 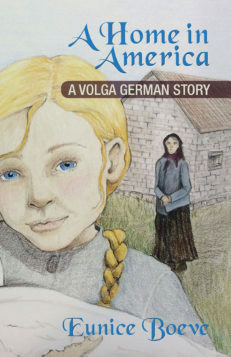 Of particular interest to those considering adoption or single parenting, this book is about more than those subjects. It’s about taking risks to realize ones dreams. It’s about courage. We can all benefit from reading more true life stories like this one. The format, being made up of e-mails, journal entries and the authors poetry make for thought provoking but quick reading and the style is delightful. I think this book needs to be in every school, not just Kansas. There is history filling its pages that is not in any text books. So much can be learned within these pages about life, friendship and what it means to be family. The adventure in The Summer of the Crow will surely keep young people turning the pages and learning with out realizing teaching is taking place. This is a beautiful story that might make you cry. It is about friendship; expansion of family; acceptance and genuine human kindness. Sheriff Bud does not condemn Eddie’s father; rather, he describes him as a boy, before alcohol got to him and that the abuse did not come from an unloving father, but that it was the alcohol that does not care. It is he comes through for the boys along with several freight hoppers and families down on their luck. Readers learn about Hoovervilles, communities of makeshift hovels named after President Hoover’s trickle down theory of economics; hobo camps along bodies of water and freight hopping. Readers get a feel and taste for small town America in the Heartland during hard times; wet and dry states and the times this story was set. This book is a masterpiece that will resonate long in the hearts and minds of readers. This is a must read! In 1935 Kansas, Brady, 13 and his sister Sarah, 6 cope with many hardships. Their mother suffers from extreme asthma and their father’s farm and livelihood are threatened by droughts and the Depression. Sarah also suffers from a severe form of autism; she is nonverbal and engages in typical self stimming behaviors. Brady describes his sister’s condition as a disease, which it is not. Autism is a neurobiological condition that people knew very little about at that time. The term “autism” was coined in 1943 by Leo Kanner. Their mother’s illness worsens; desperate, their father Jack decides to take her to California where he feels she will recover. The Kansas dust storms aggravate her condition. Meanwhile, arrangements for Brady and Sarah to stay with their foster grandfather, Sheriff Bud and their Aunt Tilly have been made. They live in Sentinel Kansas, a day’s drive from the family farm. The Sheriff had raised the children’s mother and her brother after they were abandoned at ages 4 and 6. Sheriff Bud and Aunt Tilly are delightful characters, as is Eddie, the friend Brady makes in Sentinel. Eddie has a pet crow who travels everywhere with him; in time, Brady comes to love the bird. The pair form a bond against the town bully, Raymond Blackburn. Raymond’s father, Sam runs the town bank under a thundercloud of suspicion and he keeps bootleg liquor “rotgut” in his cellar. His son Raymond is the town bully. Fed with a sense of entitlement, he harasses Eddie and Brady. Raymond finally gets what he has coming when he mocks Sarah to Brady. Sam Blackburn owns an illegal distillery; Kansas in 1935 was still a “dry” state, meaning that liquor was still forbidden. Although Prohibition officially ended in 1933, a few states remained “dry” after 1933. Blackie, Eddie’s crow helps Eddie and Brady find a way to help put an end to that distillery. Using resourcefulness and guts, the boys, armed with their crow find a way to help clear up the sky of Blackburn’s bootleg clouds. Eddie, the second youngest in a large family copes with grinding poverty and abuse and an alcoholic father. The boy’s mother works for the Blackburns. They withhold her wages, so Eddie and his brothers steal their chickens. Since Blackburn presses charges, Sheriff Bud reluctantly takes the boys in. Shortly after the boys’ arrest, Eddie is the only child remaining in the home as their mother took a younger daughter and fled the father’s drunken rages. Aunt Tilly is truly a delightful character, as is Sheriff Bud. She prepares meals for all the inmates in the town’s tiny jail; she takes Eddie in as much as he is willing to stay. To her credit, she does not fall for Raymond’s fawning over Sarah; she tells Brady that the bully did not fool her one iota. This is a beautiful story that might make you cry. It is about friendship; expansion of family; acceptance and genuine human kindness. Sheriff Bud does not condemn Eddie’s father; rather, he describes him as a boy, before “alcohol got to him” and that the abuse did not come from an unloving father, but that it was “the alcohol that does not care.” It is he comes through for the boys along with several freight hoppers and families down on their luck. Readers learn about “Hoovervilles, communities of makeshift hovels named after President Hoover’s trickle down theory of economics; hobo camps along bodies of water and freight hopping. Readers get a feel and taste for small town America in the Heartland during hard times; wet and dry states and the times this story was set. This book is a masterpiece that will resonate long in the hearts and minds of readers. This is a must read!